I struggled for an answer to begin with, as a full time blogger I am fortunate that the events we attend are like mini parties, all year round. There is generally food and all my lovely friends are there. Recently the COOP held their annual Blogger Christmas Party which was amazing and in a way, yes, that was my Christmas party! I should have replied with no really, would have been less confusing! It is one thing I miss from not working in an office environment. The office Christmas party is the one time of year you can truly let your hair down and boogie the year away. 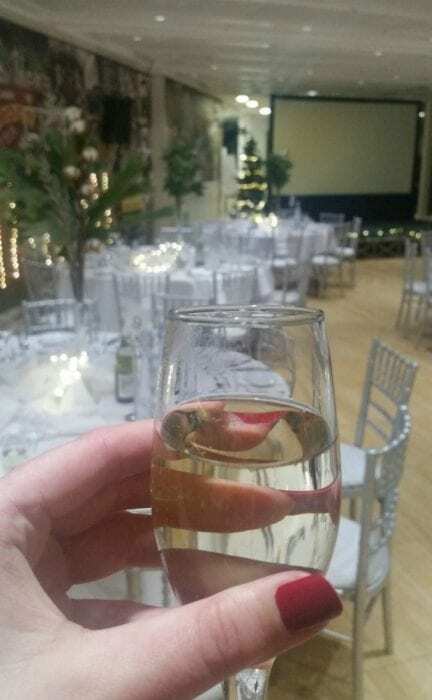 I wouldn’t even know where to begin if I had to organise an office Christmas party though, clearly you would start with looking into venue hire, VenueFinder would be a handy site to use – it does all the hard work for you! If you are looking for something extra special… I once had attended a James Bond themed office party, it was absolutely awesome, everything was decked out perfectly, including props and a 007 shaped ice luge for drinking shots from. Everyone dressed for the occasion and it was by far one of the greatest parties I have ever been to. Did You Know That Regifting Helps You Save Money?